Dewsbury Rams head to Sheffield Eagles tomorrow (ko 7.45pm) aiming to complete a Kingstone Press Championship double over Mark Aston’s full-time side. The Rams produced an impressive display to beat Sheffield 34-16 on Easter Monday but they have since suffered three successive Championship defeats as the injury crisis takes a grip. Dewsbury go into the game as one of four sides level on eight points, along with Sheffield, and know victory is crucial if they are to avoid getting sucked towards the bottom two. 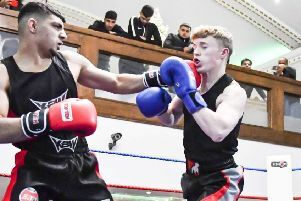 The match marks Dewsbury’s first visit to the Eagles new home of Sheffield Hallamshire University Sports Park as they bid to turn their fortunes round.